Today we’d like to introduce you to Adeana Shannon. Adeana, let’s start with your story. We’d love to hear how you got started and how the journey has been so far. Since I was a little girl, I have always had a passion for animals. I would bring home every stray and feed anything that crossed my path. As I got older and in a position to have a pet of my own I started with a cat and a bird. Once I had a yard, I adopted my first dog, a yellow lab named Tex. When I heard his story and the neglect he had to endure I knew I wanted to help others like him. Fast forward 12 years and I came across a Facebook post asking for help fostering dogs that were saved from a high kill shelter in South Texas. Since I finally had the time and my kids were old enough for me to get started, I applied immediately. I picked up my first foster, a sweet one year old named Ian. He was one of the best-behaved dogs I had ever met. I was completely hooked. One day while scrolling the Dallas Dogrrr Facebook page and I came across a post asking for clerical type volunteers. I am a stay at home mom of teenagers, so I have plenty of time to help, so I stepped up. I immediately joined the Foster Team, who were responsible for screening the applications of new fosters. After a month or so I graduated into assisting the adoptions team as well, screening applications for potential adopters and assisting our medical team by making appointments for our foster dogs. I felt like I was finally a part of something, a group of people who had the same passion I did. I was exactly where I belonged. It hasn’t always been a smooth road. Finding a balance has been the biggest struggle for me. I see so much work needing to be done, but I also have a family that needs my time and attention too. When we all first start we are all overachievers, kind of come in like a hurricane. But I had to step back and slow my pace, so I didn’t burn out. Dallas Dogrrr – what should we know? What do you guys do best? What sets you apart from the competition? 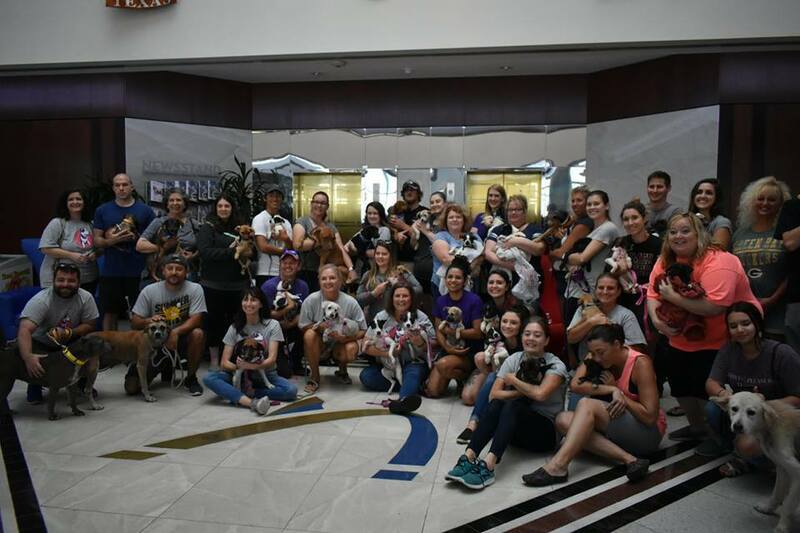 Dallas DogRRR – Rescue.Rehab.Reform is a group of dedicated, animal loving volunteers that help rescue dogs with our main focus being in SE Dallas. We rescue abandoned dogs straight off the streets and rescue dogs who are set to be euthanized from high-kill shelters. I am so proud of the team of volunteers that step up without hesitation and take these dogs in various states of health. I can’t speak for other rescues and what happens under their roof, but I can say Dallas Dogrrr rarely turns down a dog in need. I have seen some very gruesome intake pictures of dogs who have been attacked, shot, hit by cars, on deaths door from distemper and parvo. My proudest personal moment so far has to be fostering a Momma dog and her five babies. 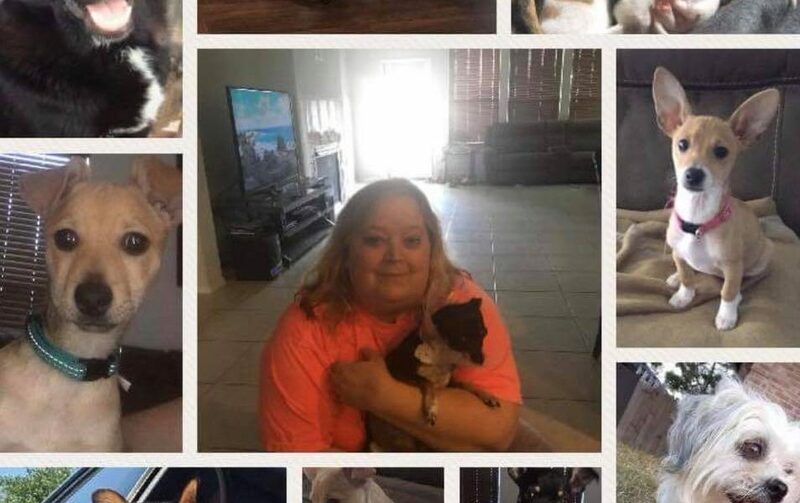 She came from South Texas where it was flooding, and the shelters were unable to hold any dogs. When she got here, she started exhibiting signs of distemper. I attempted to bottle feed her babies, but that is a skill I couldn’t master. So I delivered them to more experienced feeders. I focused all my time and energy on getting sweet momma healthy again. It took weeks of round the clock medication, breathing treatments, feeding by syringe as well as hydrating. When she finally got the all clear, it was amazing, and my entire family was smitten. She is now a part of our family.